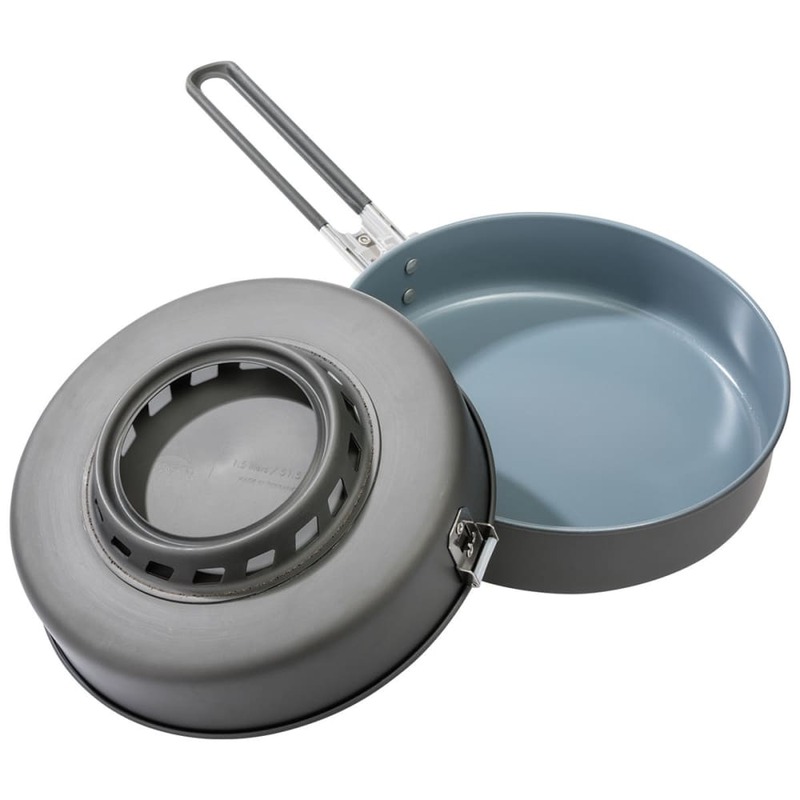 Pan-fry or sauté veggies, simmer sauces, and cook breakfast at camp like a pro with this 8??? skillet designed for WindBurner Stove Systems. Featuring an enclosed, heat-capturing ring on the bottom and a nonstick ceramic surface, this hard-anodized aluminum skillet allows for versatile and more involved cooking, even in the middle of the wilderness. Compatible exclusively with WindBurner Stove Systems. 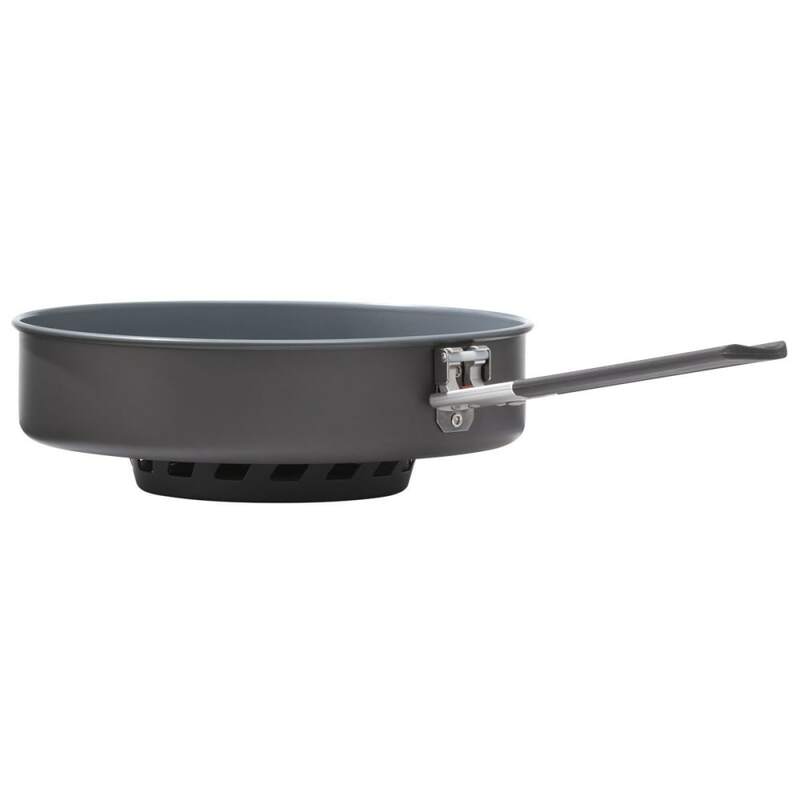 Versatile: Ceramic-coated nonstick skillet is great for simmering, sautéing, and pan-frying cuisine. Compact Nesting: Skillet nests outside WindBurner?? 4.5 L Stock Pot for packing efficiency. Volume (fluid ounces): 84 fl. oz.